Pioneers in the industry, we offer belt conveyor, rigid screw conveyor, z elevator, pvc belt conveyor, bottle transfer conveyor and spiral gravity conveyor from India. Our Screw Conveyors are designed for highly effective tranfer of product with minimum breakage and falling back of products. Our Conveyor is available in both SS & MS construction and can convey Powder / Granule product like Sugar, Flour, Calcium powder etc. 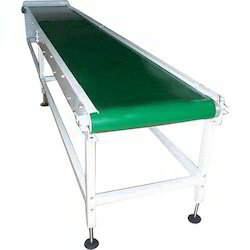 Our Conveyor can convey product in horizontal way to inclined position. We are one of the widely acclaimed manufacturers of PVC Belt Conveyor. We are suppliers of Spiral Gravity Conveyor these Transferring cartons, Boxes, and hard base products are easy with our Spiral Gravity Conveyors. It does not require any power to move products down. 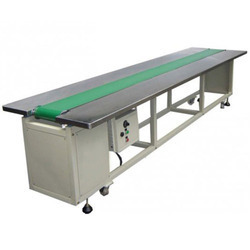 We are the leading manufacturer and supplier of the Inspection Conveyor all across the globe. 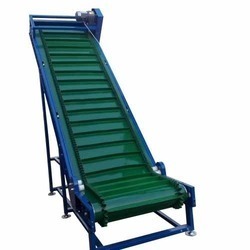 We are the leading manufacturer and supplier of the Inclined Conveyors all across the globe. 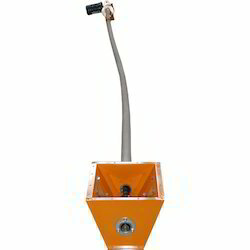 To avoid problems like product Contamination, Chocking, Cleaning we are offering Flexible Screw Conveyor with no shaft and bearing at infeed/dropping points. 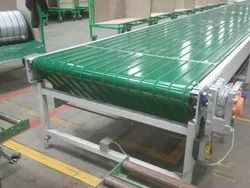 Slat Chain conveyors are suitable for transferring products like Can, Bottles, Jars etc in some cases we can also use these conveyors to transfer Cartons, Crates, Pallets etc.